As the Ibiza season kicks off, Toolroom Records are releasing the ideal start to the summer with ‘Toolroom Records Ibiza 2012 Vol. 1’. 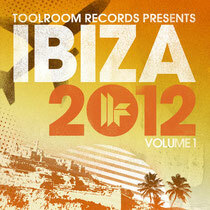 Accompanying Toolroom Knights’ residency at the legendary club Space, this new summer soundtrack brings together 42 huge hits, including new and exclusive cuts from label boss Mark Knight, Tiësto, Hardwell, Funkagenda, Popof & Olivier Giacomotto, Afrojack, Laidback Luke, UMEK, Michael Woods, Nic Fanciulli, Maceo Plex, Manuel De La Mare, Alex Kenji and Maya Jane Coles. Three full-length DJ mixes complete the package.